Wow! Over the past few months the major American media outlets have really started noticing what a huge difference meditation makes in the lives of those who practice it regularly. In the past months there has been a Time Magazine cover article, a 60 Minutes television segment, then a NBC news story on the difference meditation makes in elementary school classrooms, then a personal story by an ABC newsman Dan Harris, who found Buddhist style meditation works to keep him cool, calm and off drugs. He wrote a book, 10% Happier that will speak to a whole different audience than usually reach. It might make a great gift for more skeptical family or friends. (Though let’s not proselytize! The best way to promote meditation is to simply do it yourself, and let those around you reap the benefits of your calmer, kinder interactions.) 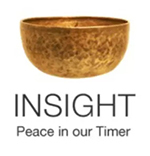 I loved one thing he mentioned in the interview in this link, about giving that busy mind voice in the head a Reaganesque ‘There you go again.’ Now you don’t often hear Reagan references in meditation circles. This means the circle is definitely widening! And more people are considering meditation something they might actually incorporate into their lives. But the capper for me was this past Sunday when Parade Magazine named meditation the number one thing to do for your health for 2015! Now Parade is a relatively conservative newspaper insert syndicated in most major papers throughout the country. I’ve never known it to embrace anything that isn’t total Americana. It offers up celebrity interviews, seasonal recipes for such things as tailgate parties and 4th of July picnics, and lots of inspirational stories about hometown heroes. Now it embraces meditation. I can only conclude that meditation is finally a truly red, white & blue American activity. Since the act of meditation is a simple activity that needn’t have any dogmatic affiliations, there’s never been a valid reason for it to be scorned. A couple of the stories focus on the wonderful work of Jon Kabat Zinn in bringing science-based mindfulness practice to hospitals and to the world at large. But a subtle but profound shift has happened because in all the other stories they call it ‘meditation.’ That word that Zinn found so toxic to his colleagues that he substituted ‘mindfulness’ for it is apparently no longer seen as something foreign and threatening. People, this is huge! Good enough for me. Think I’ll try it! How about you? I know fads come and go. No doubt soon meditation’s stardom may dim. The media that has been offering inspiring meditation articles all along may have ruffled feathers that it’s no longer their private purview and find fault with the mainstream’s reporting. Chances are good that somehow someone will find newsworthy backlash stories, anomalous news to counter the results reported, or ways in which previous reports were overblown. But even so, the practice of meditation is now an accepted part of a normal life, seen as no weirder than going to the gym. It has broken through the resistance, the fears and the foolishness. Meditation can now, without a lot of hullabaloo or rigamarole, provide anyone anywhere with a means to create well being, compassion and understanding. All we ever needed was for people to be willing to give it an honest try just to see if it’s right for them. Once they try it, like all those reporters, they’ll discover why it’s such a valuable practice, simple as it is. This entry was posted in http://schemas.google.com/blogger/2008/kind#post, media, mindfulness on January 19, 2015 by Stephanie Noble. Thank you for this excellent piece of reportage. It gives me fortitude for not being shy about my meditation and yoga practice when speaking to skeptics and scorners.